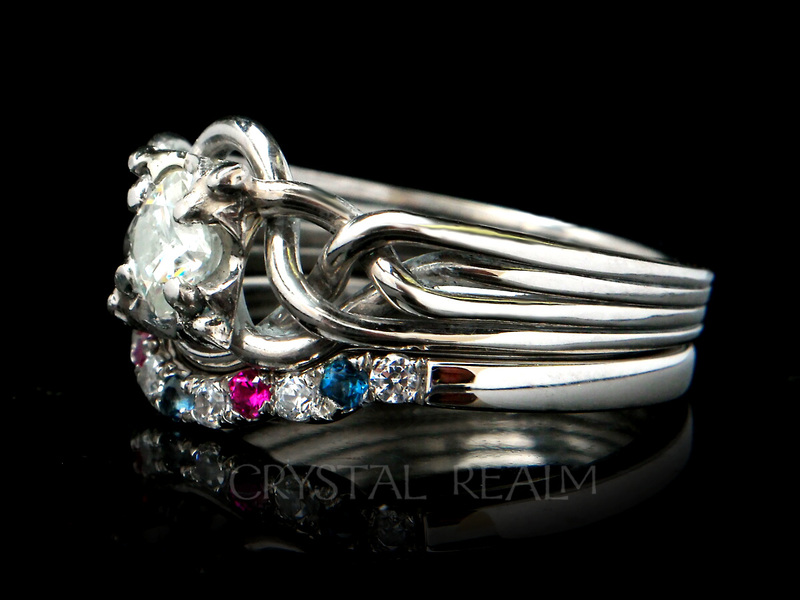 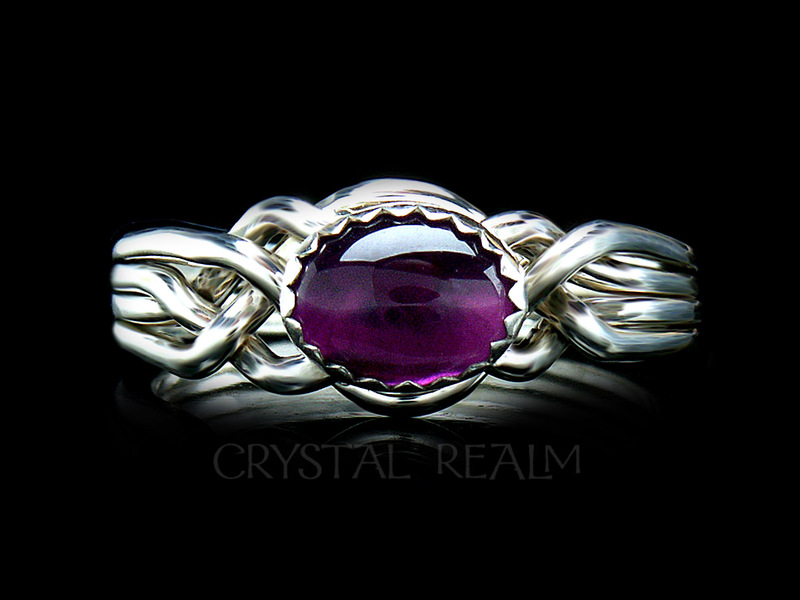 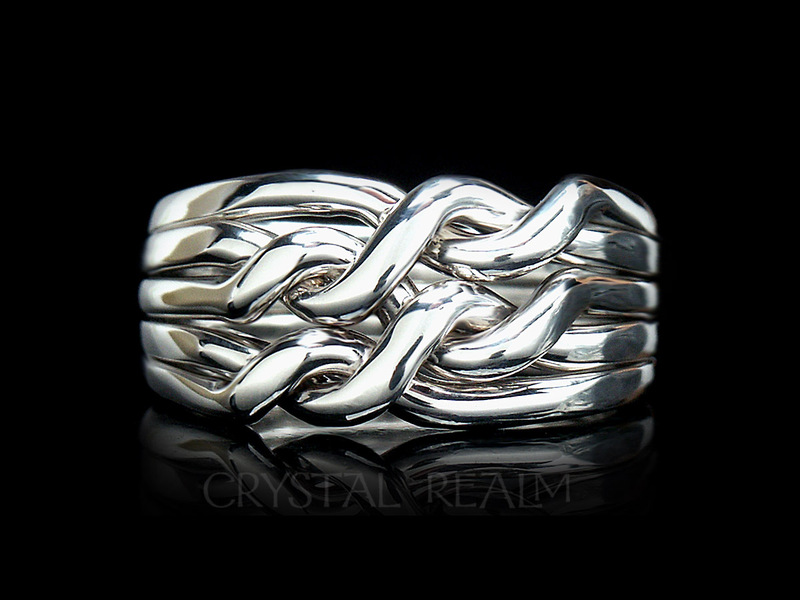 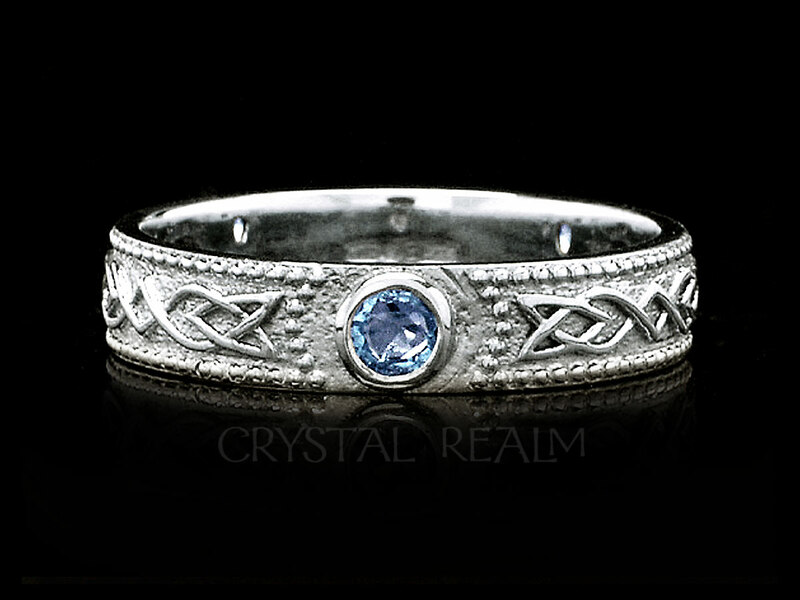 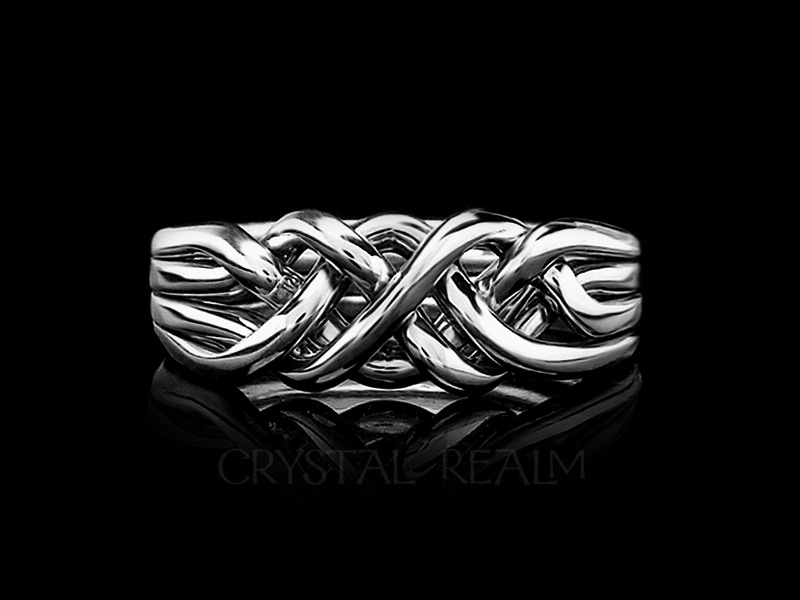 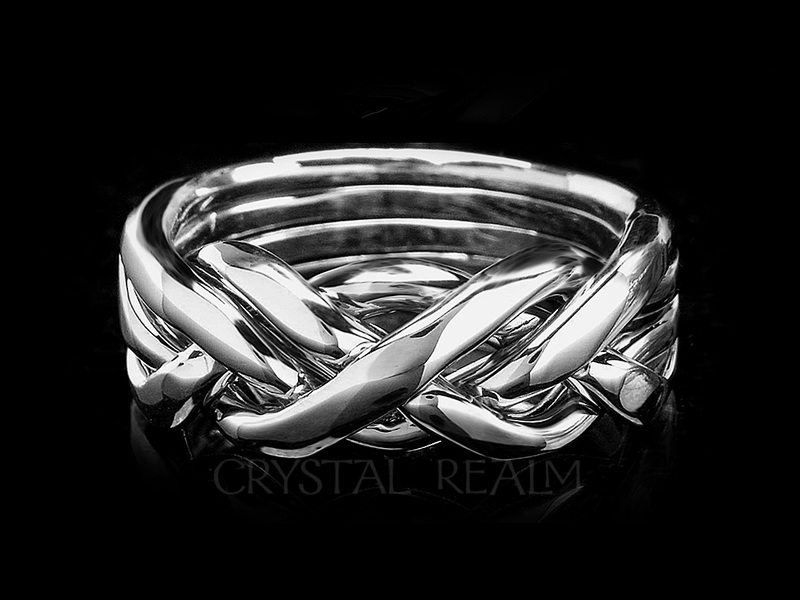 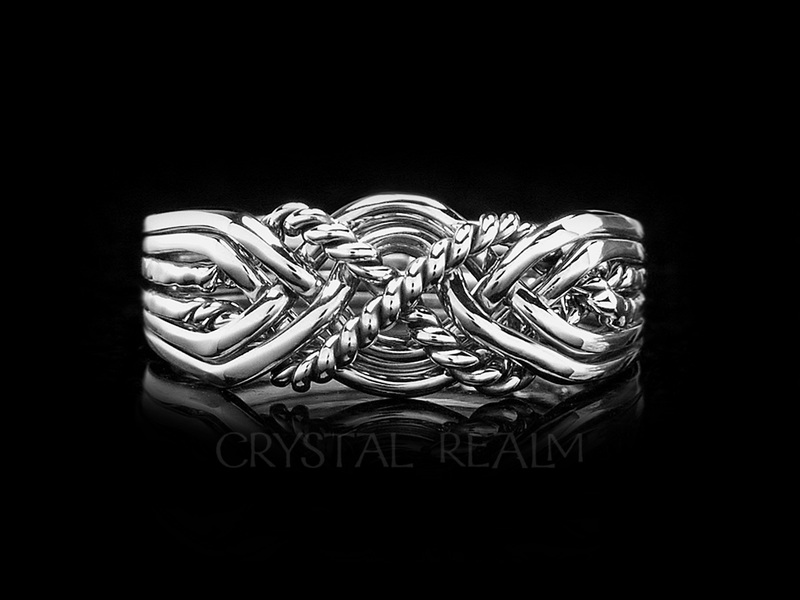 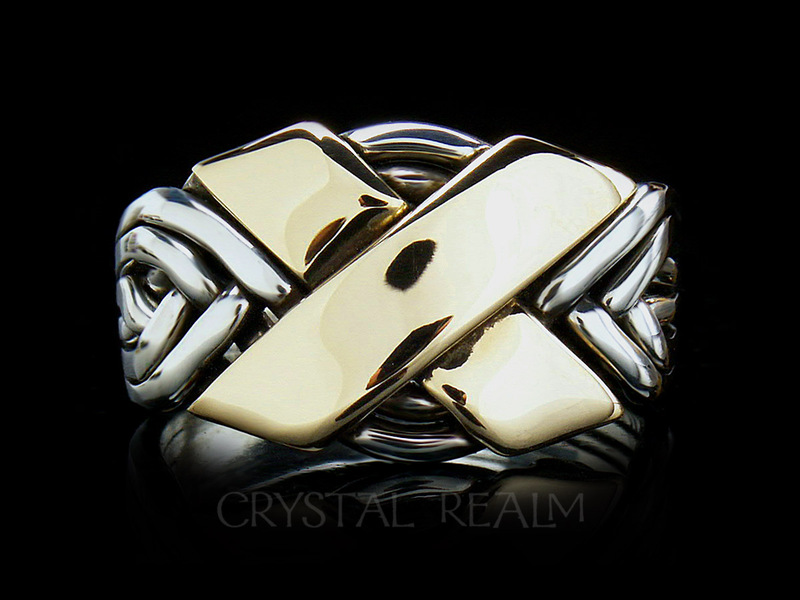 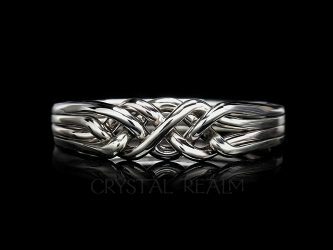 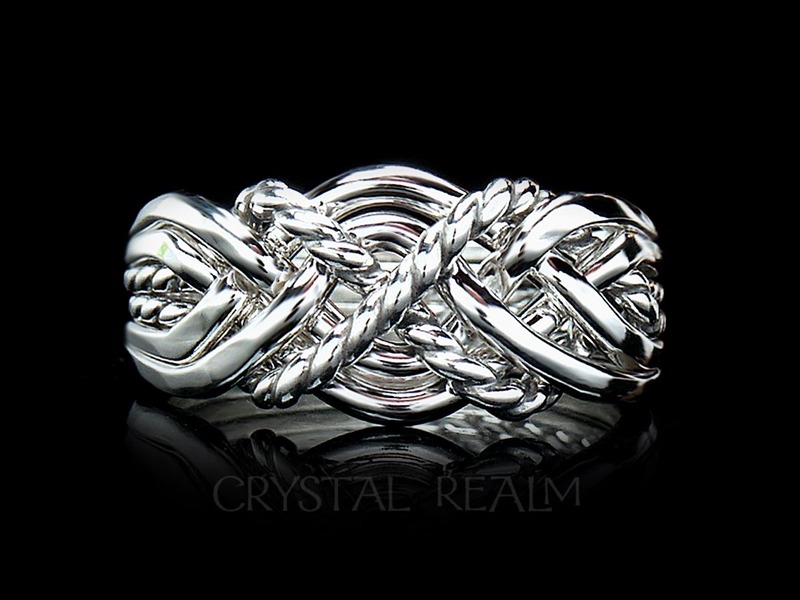 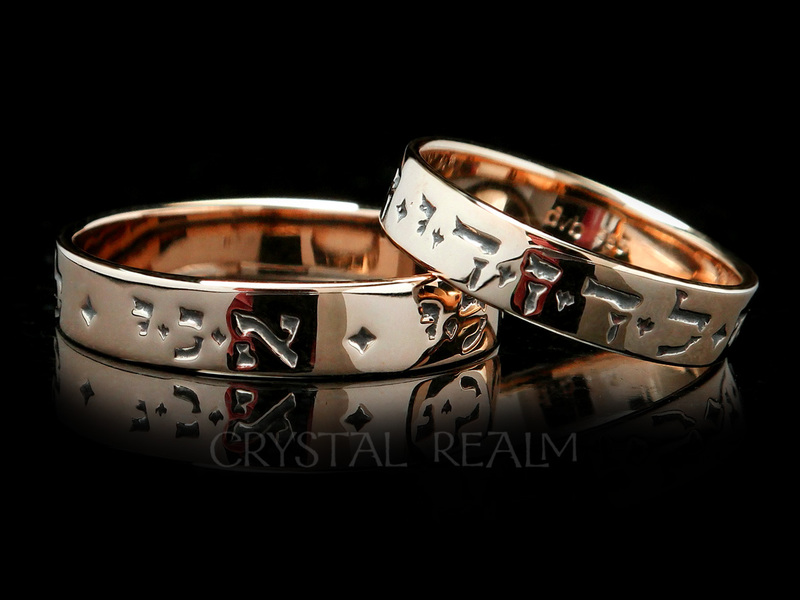 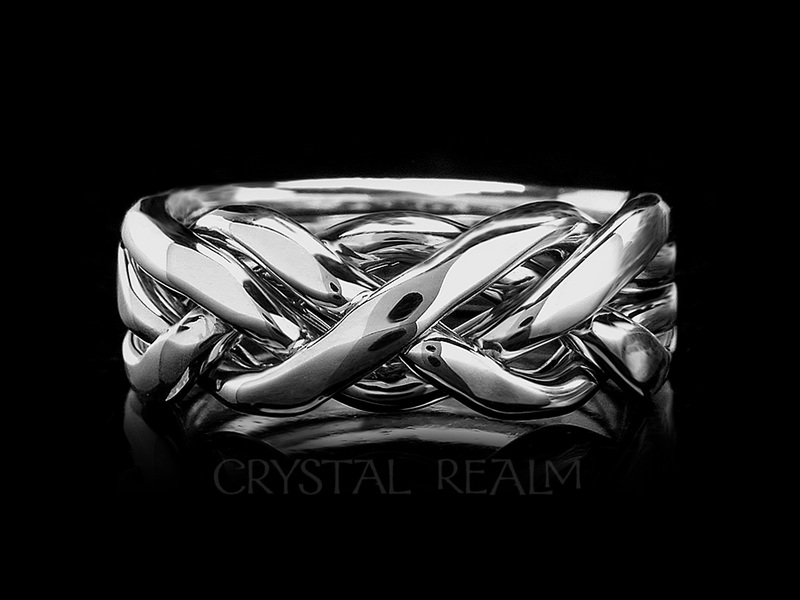 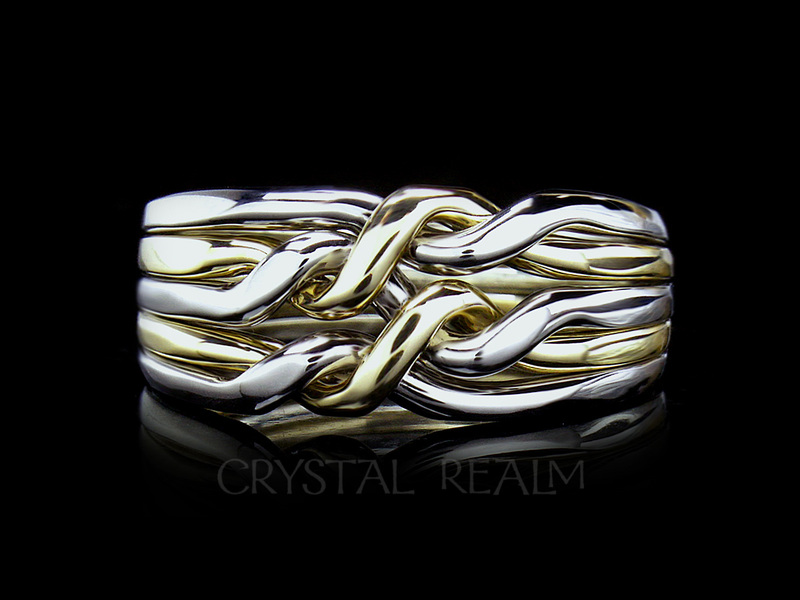 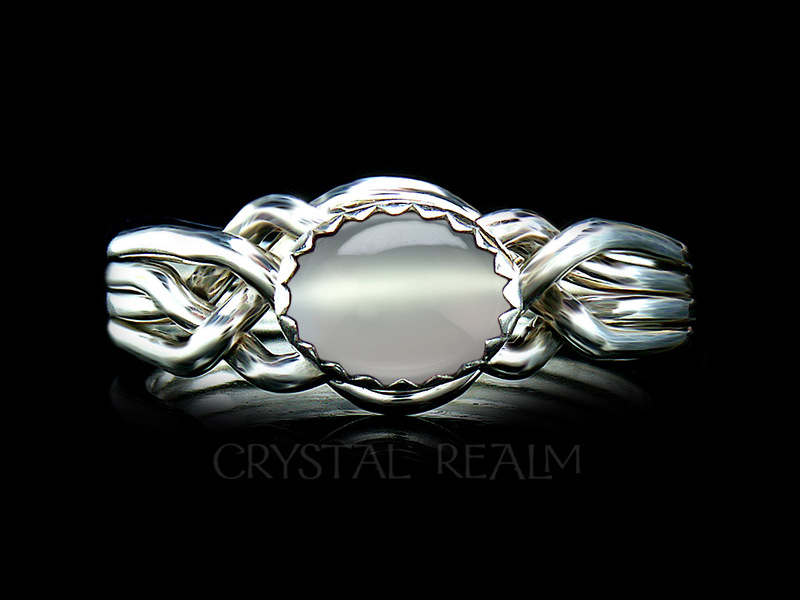 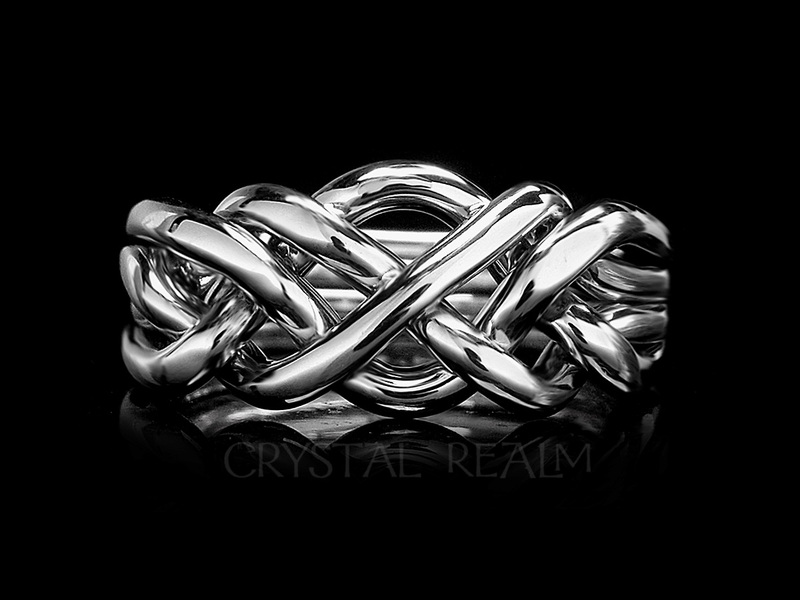 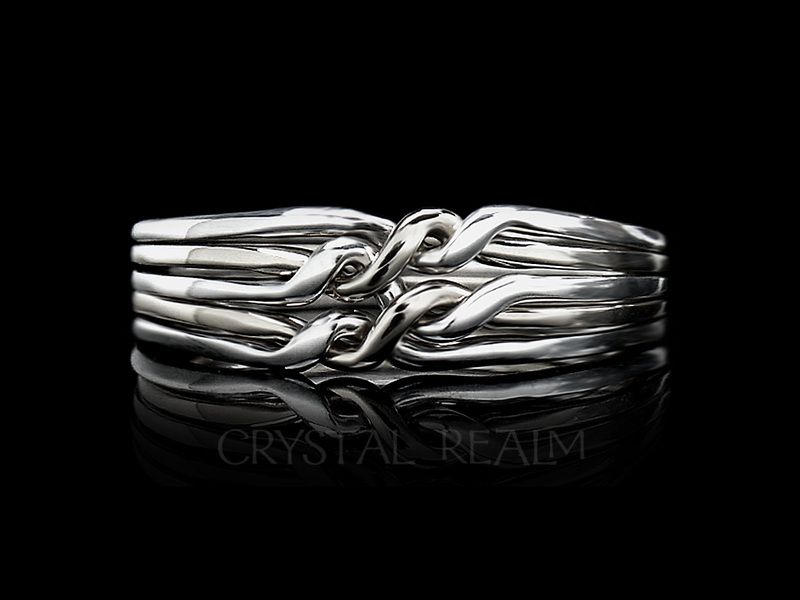 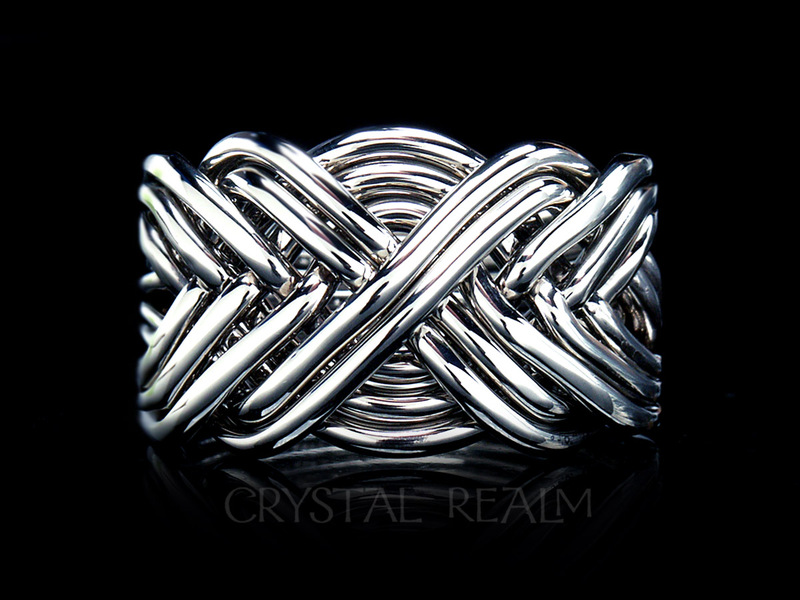 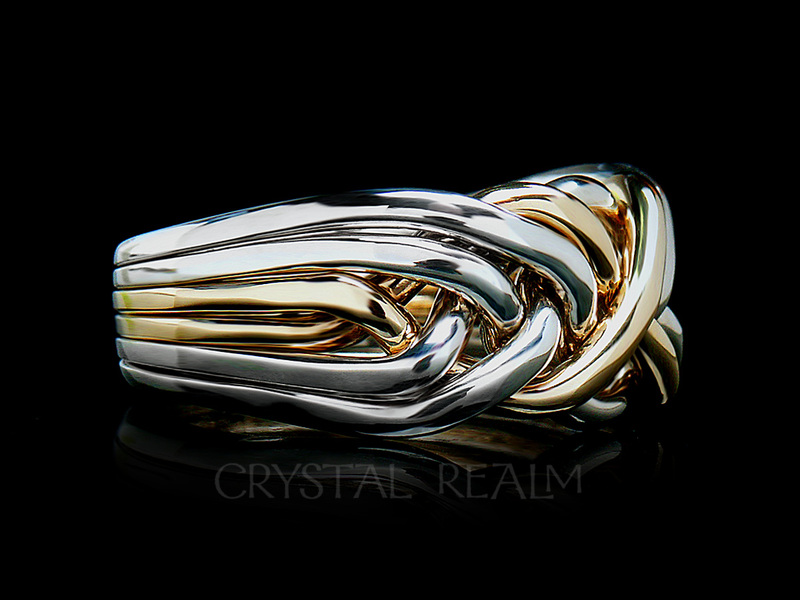 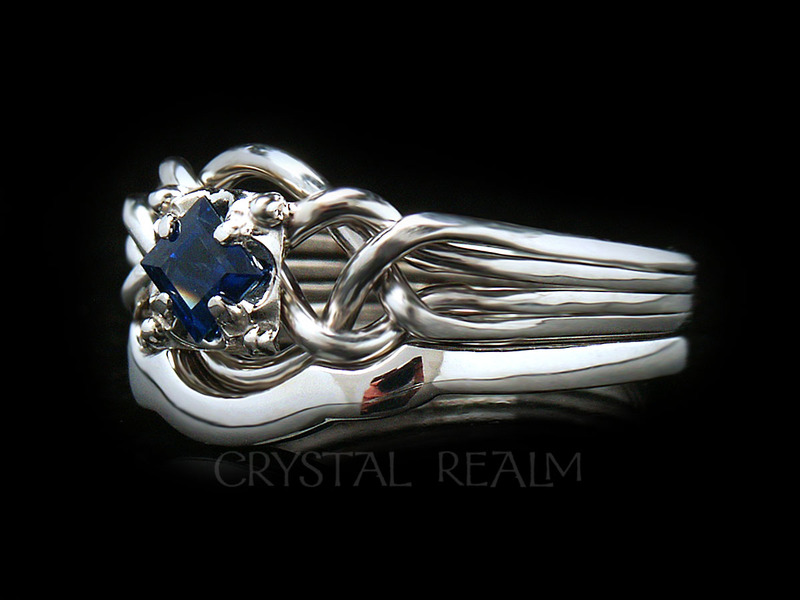 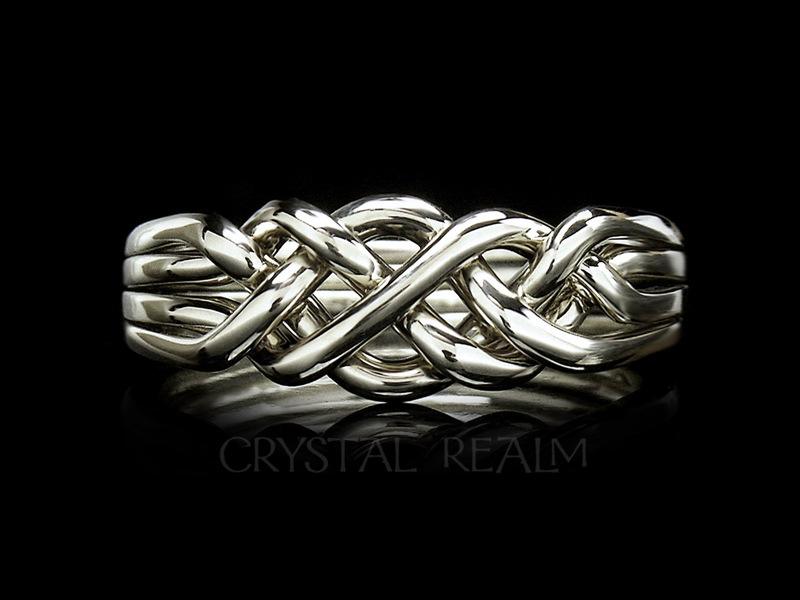 Our sterling silver puzzle rings are hand-woven exclusively for Crystal Realm. 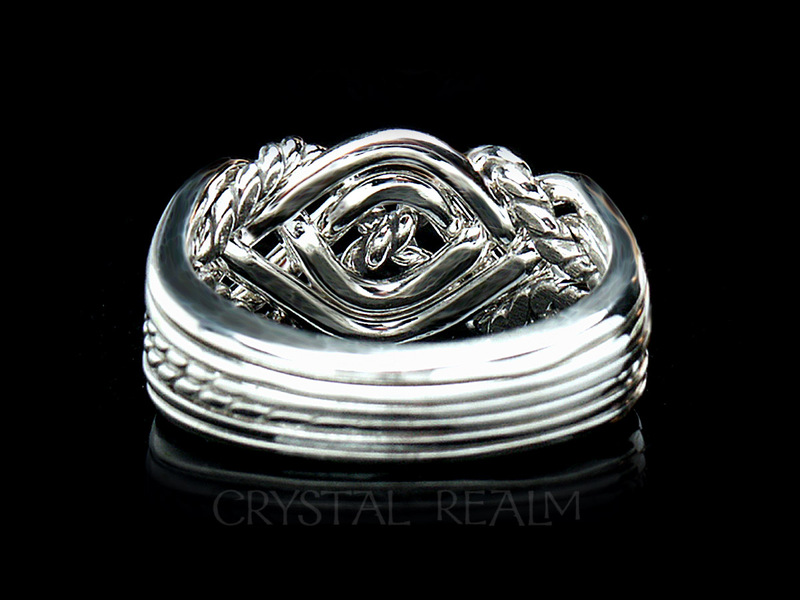 None of our puzzle rings are cast, as are most puzzle rings on the market. 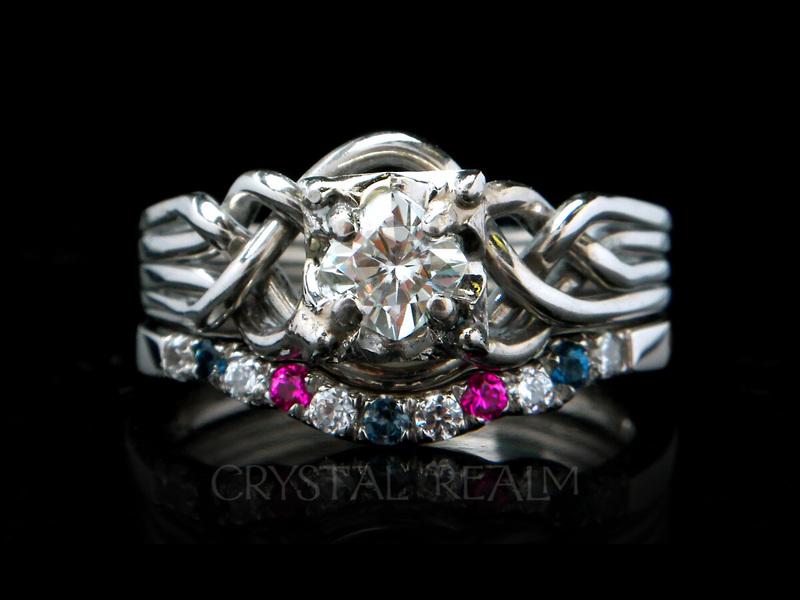 Choose your number of bands and your weight. 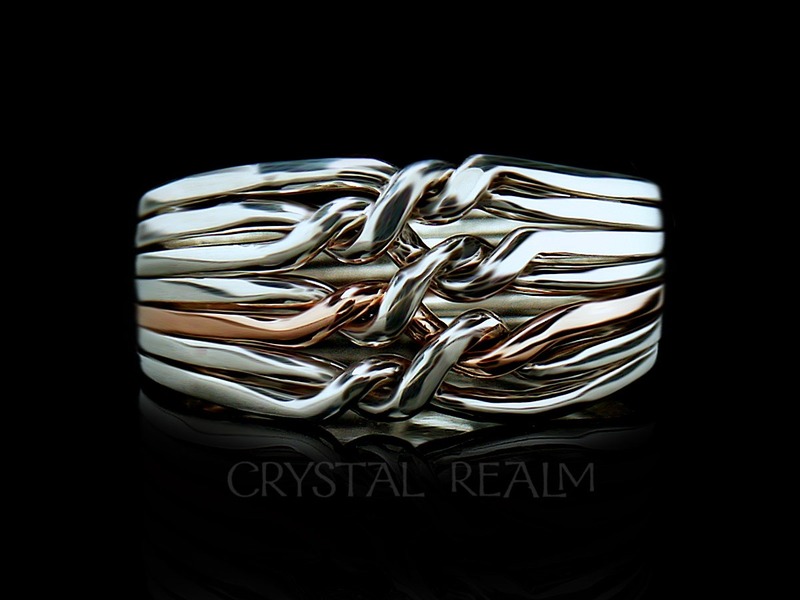 We show up to ten bands on our site, but we can make you a puzzle ring with up to 16 bands. 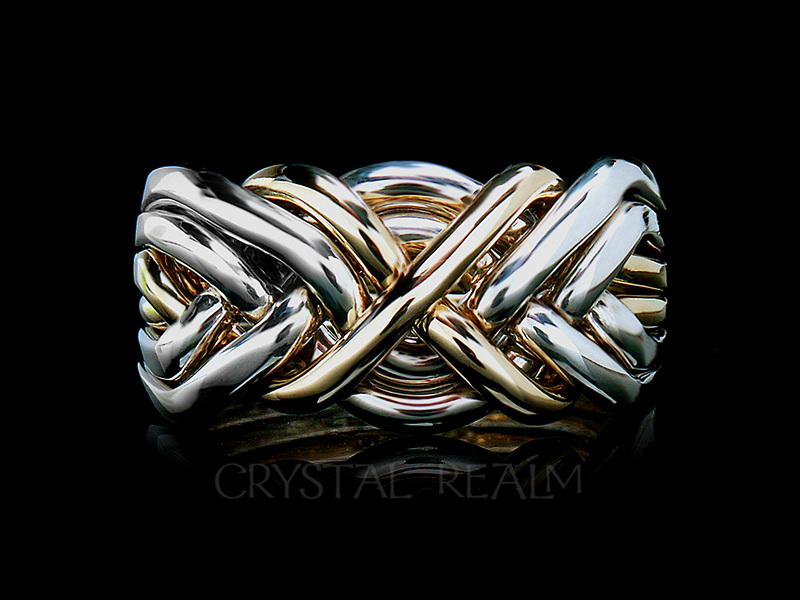 We offer both all-sterling-silver puzzle rings and sterling silver mixed with 14k yellow or 14k rose gold. 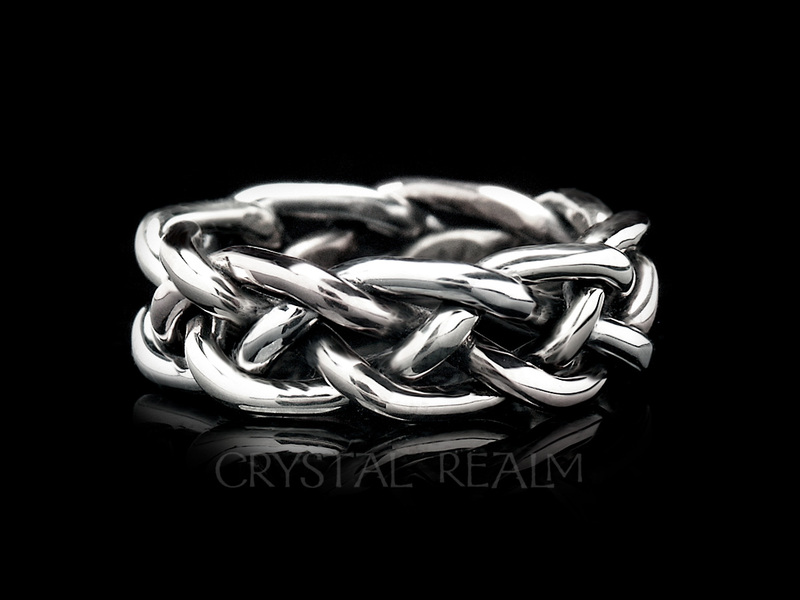 Smaller puzzle rings usually worn by women are shown in light to medium-heavy weights but can be made heavier. 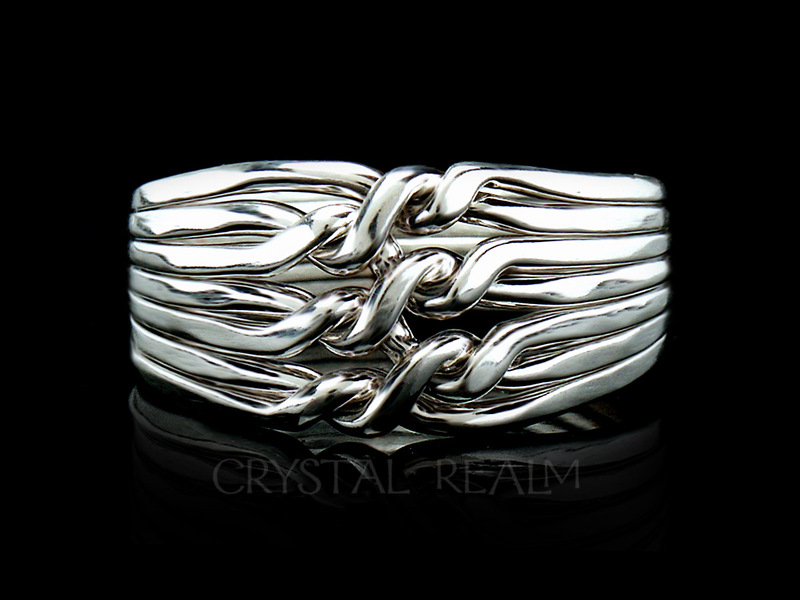 Larger puzzle rings usually worn by men are offered in heavier weights. 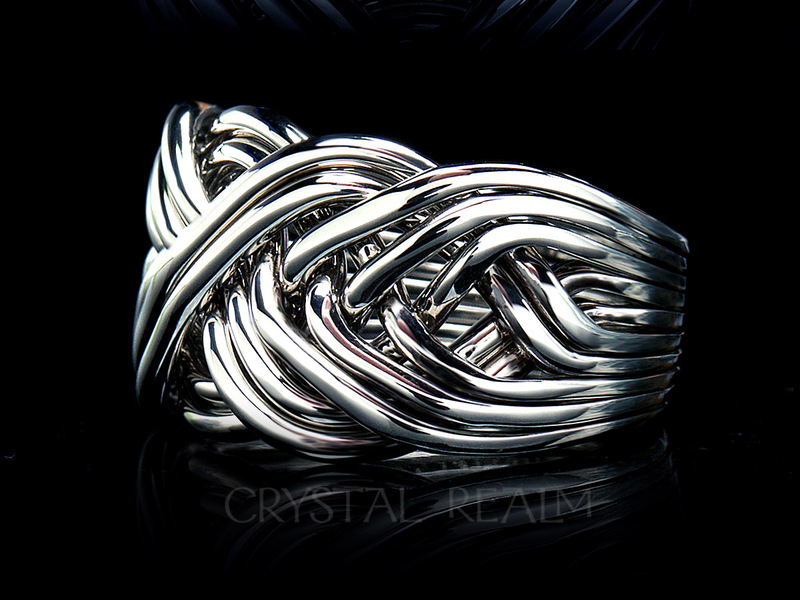 It’s all about proportion! 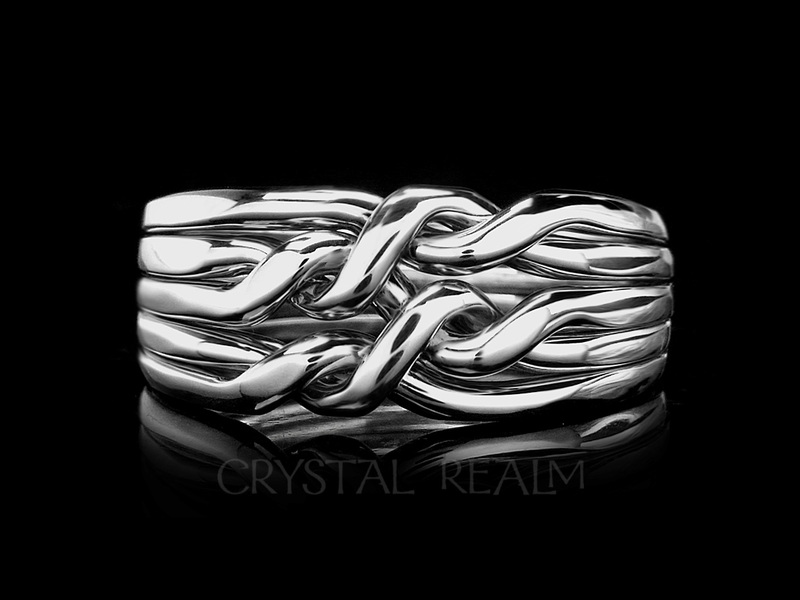 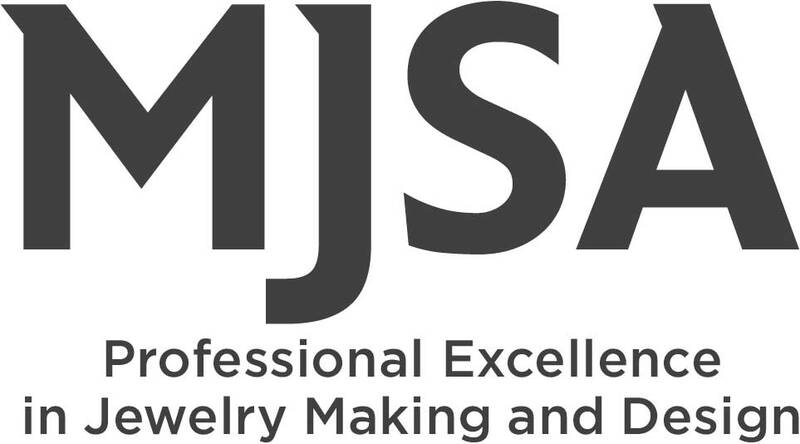 Contact us directly, if you see a puzzle ring you want, and it is not offered in your size. 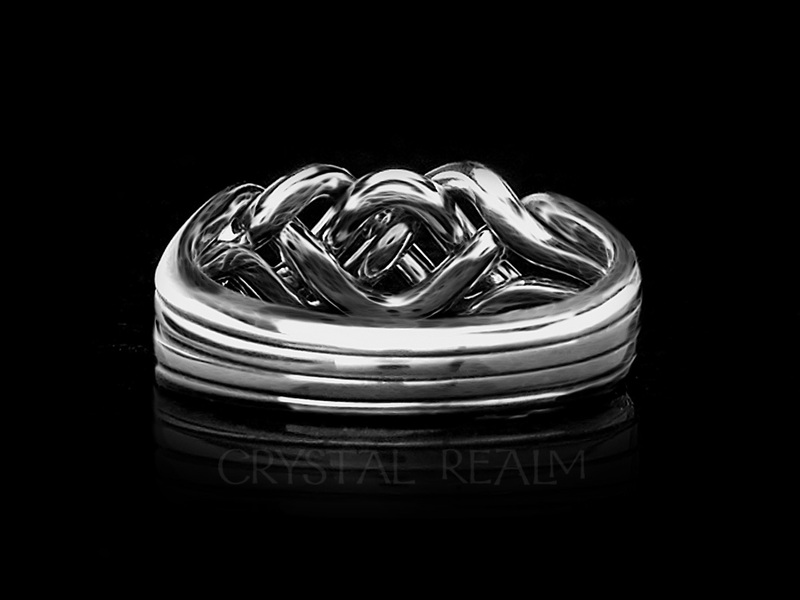 We are happy to hand-make a puzzle ring just for you. 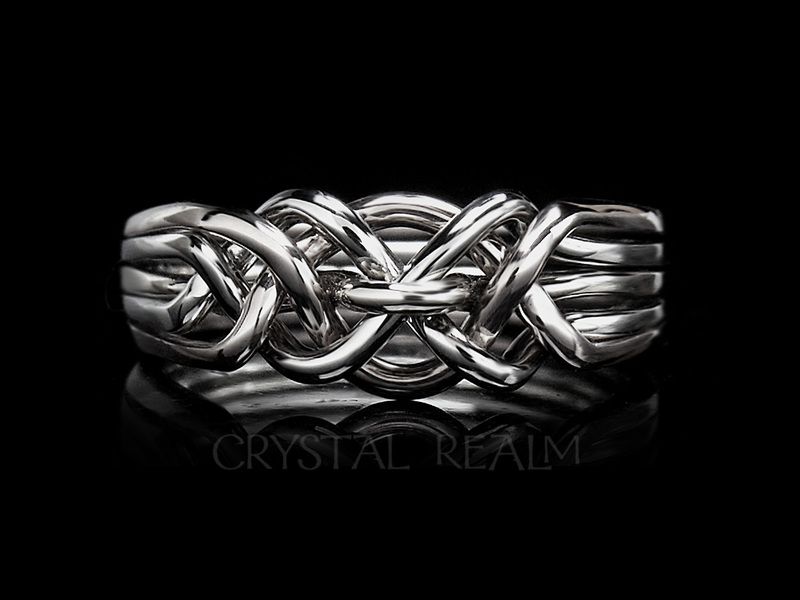 Puzzle rings make fun, wearable toys. 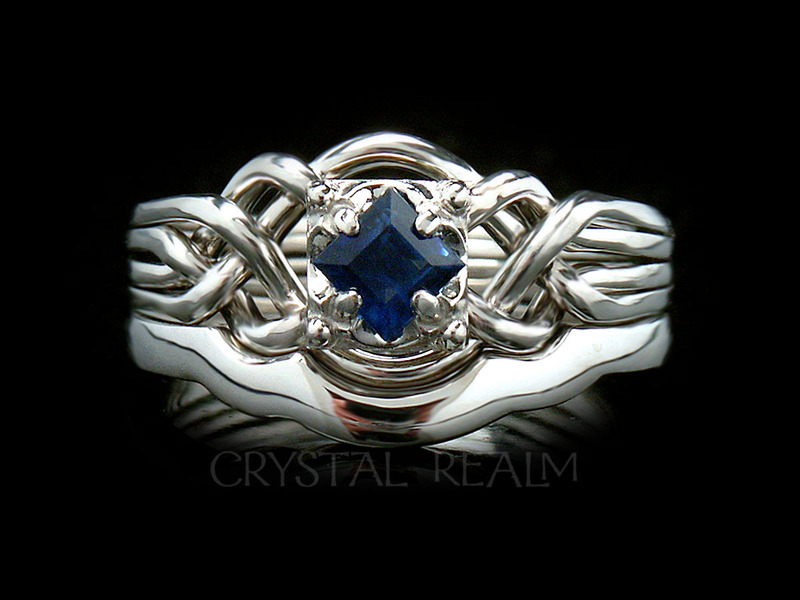 You will amaze your friends with your skill, and enjoy your puzzle ring for many years to come!